The street value of the drugs was worth nearly $1 million. SAN ANTONIO — Talk about a nose for crime! Over the weekend, a K9 with the Bexar County Sheriff's Office sniffed out 13.5 kilos of drugs. 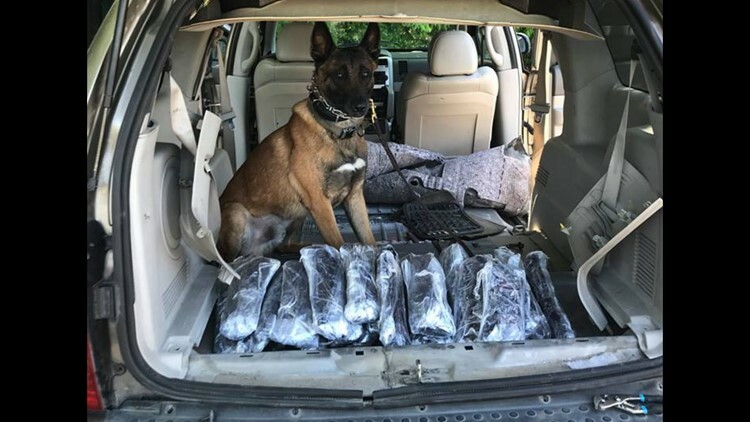 According to a Facebook post by BCSO, 25 bundles of methamphetamine, which had an estimated street value of $945,000, were found inside a hidden compartment of the car. K9 Rocket worked with the BCSO Narcotics Unit and the DEA Task Force to uncover the drugs.